Liza Bailey’s professional experience includes 34 years in the financial industry providing strategic advisory, investment banking, and investment management services. From 2004 to 2007, she was the cofounder and managing partner of GlobeVest LLC, an emerging market private equity fund-of-funds focusing on emerging growth managers. From 1983 to 2004, she was with Credit Suisse First Boston in the Mergers and Acquisitions Department, during which time she represented clients in transactions valued in excess of $100 billion of which over 70 percent were outside the United States. From 1997 to 2004, she was the managing director and co-head of CSFB’s Consumer Investment Banking Group of the Americas. From 1982 to 1984, she was an institutional portfolio manager with Chase Investors Management Corporation. From 1974 to 1982, she was with the Morgan Bank, first as a commercial banker and then as an equity analyst. 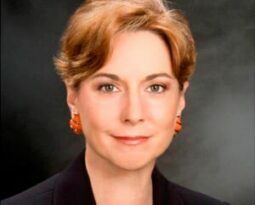 She currently serves on the board of trustees of Johns Hopkins Medicine, Johns Hopkins Health Systems, Johns Hopkins Medicine International, and Johns Hopkins University, as well as the Advisory Councils for the Institute of Basic Biomedical Sciences, the Alliance for Science and Technology Development, and the Peabody Institute. She is the chair of the Audit Committees for the Johns Hopkins Health System and Johns Hopkins Medicine International, respectively. She received her BSFS in international economics from Georgetown University’s School of Foreign Service and is a Certified Financial Analyst. She is married to Michael Musgrave, a scholar of German 19th century music, a pianist, and a member of the Juilliard faculty. They live in Garrison and New York City.